The 2.5-tonne ECR25 features a powerful, low-emission 20.9-horsepower engine while the 2.8-tonne has a 19.3-horsepower engine. These excavators boast impressive breakout and tear out force, making them capable of handling demanding excavation jobs on space-restrictive job sites. Due to factors including high torque generated during operation as well as challenging job site conditions, it is crucial to use durable, high-quality tracks on these mini excavators that can withstand the stress put on them. Maximize the performance, stability and functionality of your Volvo ECR25 and ECR28 by equipping them with new premium-quality rubber tracks! 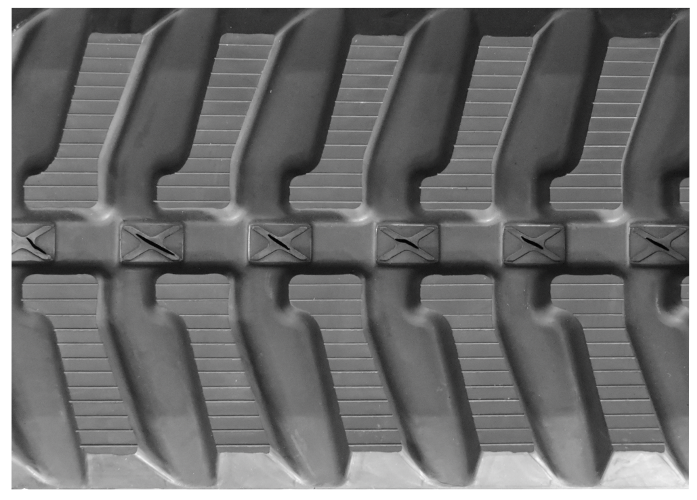 Enhanced flotation as a result of lower ground pressure and a more even distribution of machine weight. 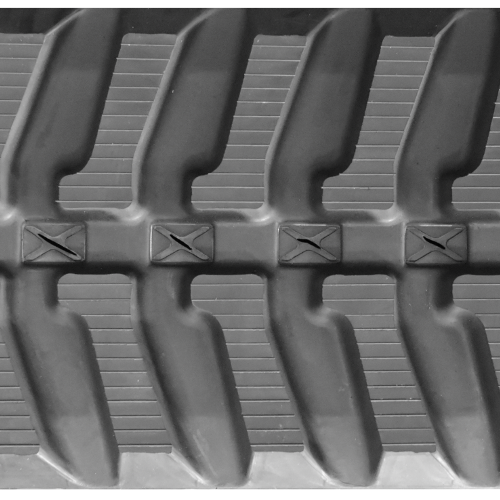 Improved traction in a range of applications including mud, dirt and slopes. Better gas mileage and easier to operate than steel tracks. Less stress on the overall machine and particularly on critical undercarriage parts like idlers and rollers. 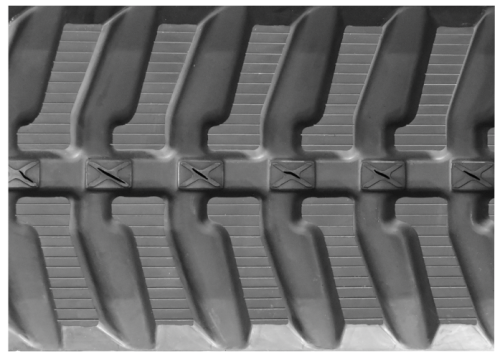 Rubber tracks slow wear and prevent damage to these parts. Reduced machine downtime which translates to lower hourly operational costs. Protection of sensitive, hard surfaces like asphalt, pavement and concrete surfaces from damage. Steel tracks would severely damage these surfaces. 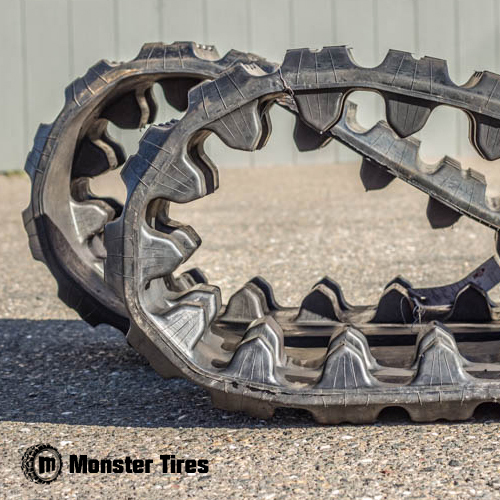 Monster Tires rubber tracks are backed by extended warranty! 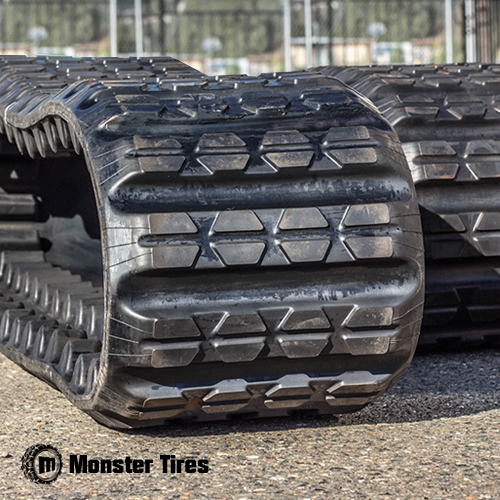 Look no further than Monster Tires for new premium rubber tracks for Volvo ECR25 and ECR28 mini excavators. Not only are our high-quality rubber tracks made from tough, durable rubber compounds but they also have embedded continuous steel belts for added strength and durability. 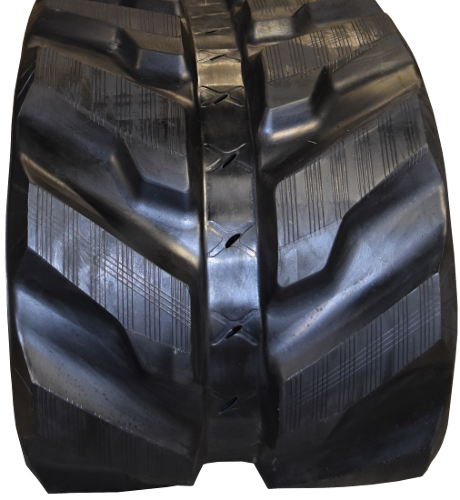 We offer our rubber tracks at the best prices you’ll find anywhere and also provide fast and reliable shipping. Give us a call today!